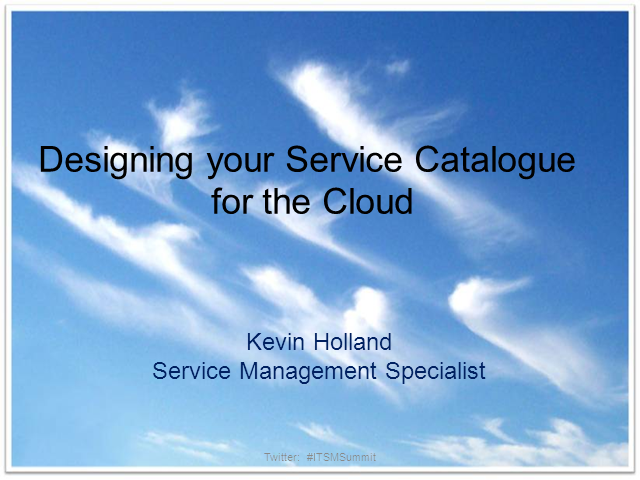 Cloud computing is here to stay, but it fundamentally challenges many concepts from ITIL, including service catalogs. One key challenge is how to make the structure of your catalog suit the different types of cloud services, whether you are a service provider or a service consumer. Selecting the correct type will help you to make your catalogs add value in a diverse, dynamic, multi-supplier environment. This session will give you some tips, challenge your thinking, help you to get maximum benefits from service catalogs for the cloud.